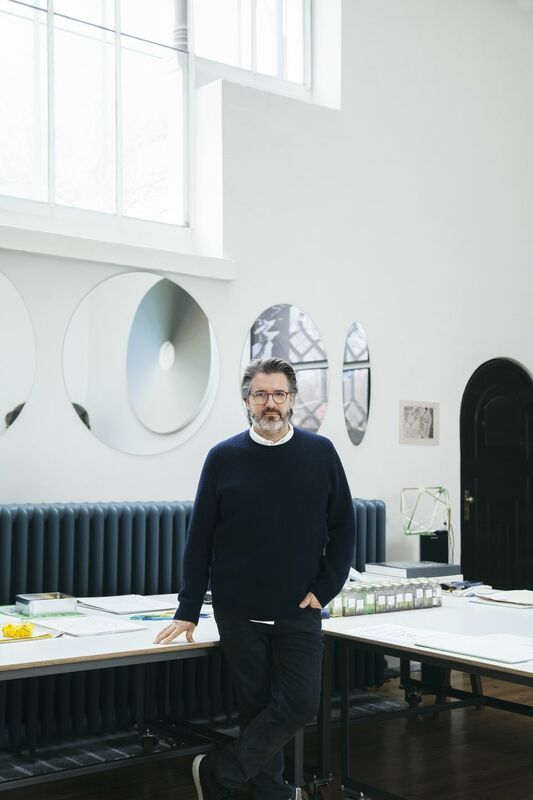 Louis Poulsen, world-renowned Danish lighting brand, reveal their collaboration with Danish-Icelandic artist, Olafur Eliasson, on a new, large-scale pendant light at Milan Design Week. Inspired by the relation between mathematical forms, the OE Quasi Light uses geometry to shape light and reinforces Louis Poulsen and Eliasson’s shared idea that good light = good life. 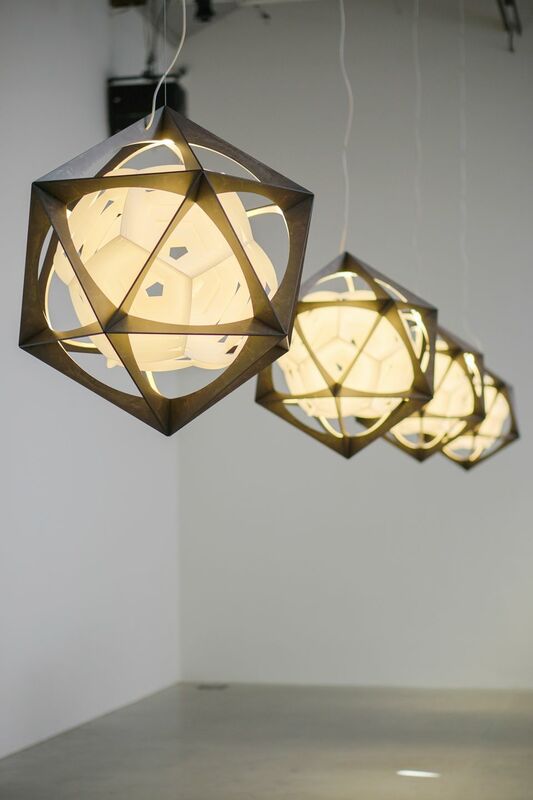 The light is composed of two contrasting geometric shapes, nested inside each other. 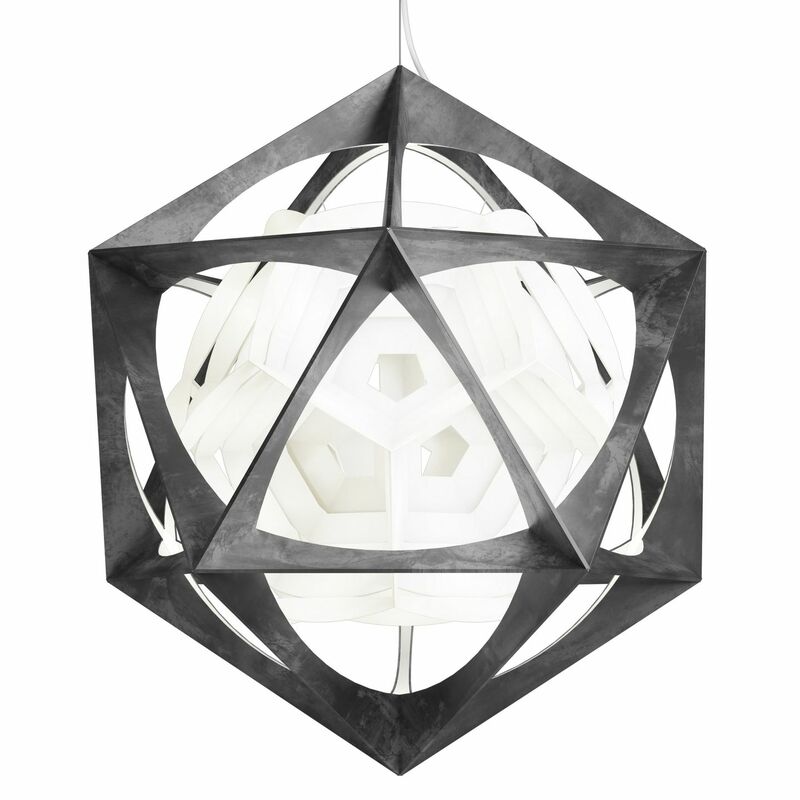 The outer layer, a rigid aluminium frame, is in the shape of an Icosahedron (a form possessing 20 faces and 12 vertices), while the inner layer, in the shape of a dodecahedron (a form featuring 12 faces and 20 vertices) seemingly floats inside, reflecting the light in a spherical light distribution. 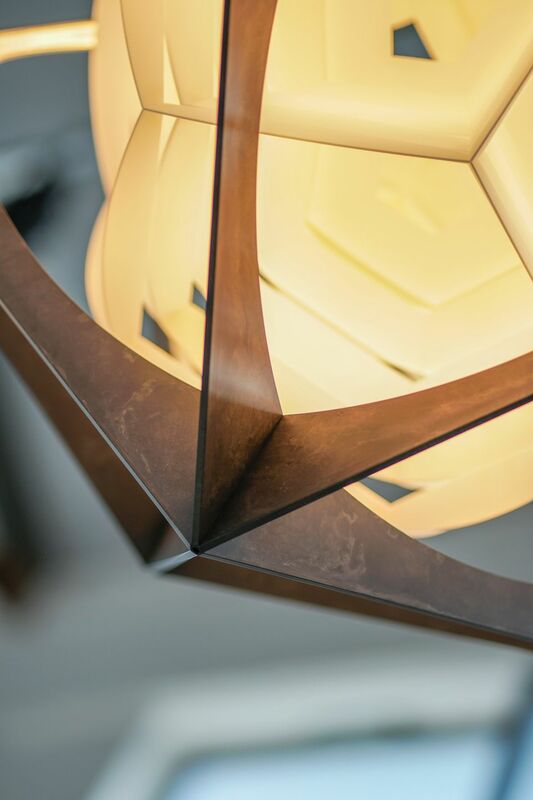 Bright LED lights are embedded at the vertices of the aluminium icosahedron, directing the light towards the lamp’s core: a white, inset pentagonal laminae made from polycarbonate. 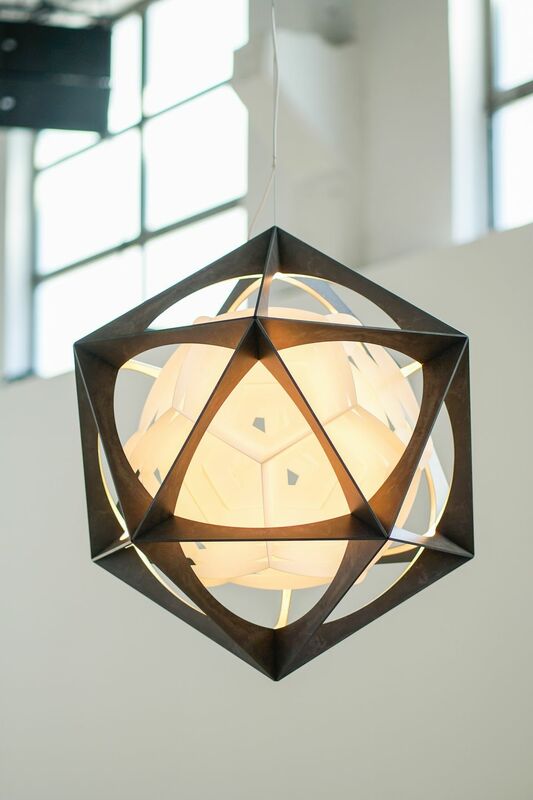 The light’s complex geometric shape is perceived differently depending on where the observer stands, creating endless interpretations and perspectives. 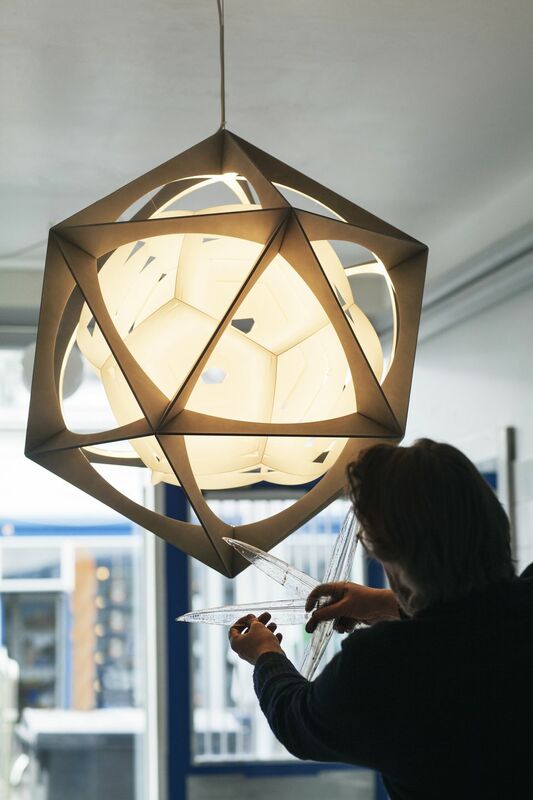 “I'm very excited to bring my longtime interest in geometry and light into this collaboration with Louis Poulsen to create the OE Quasi Light. What distinguishes it from so many lamps is that it shines in towards the core, from which the light is reflected back out onto the surroundings. 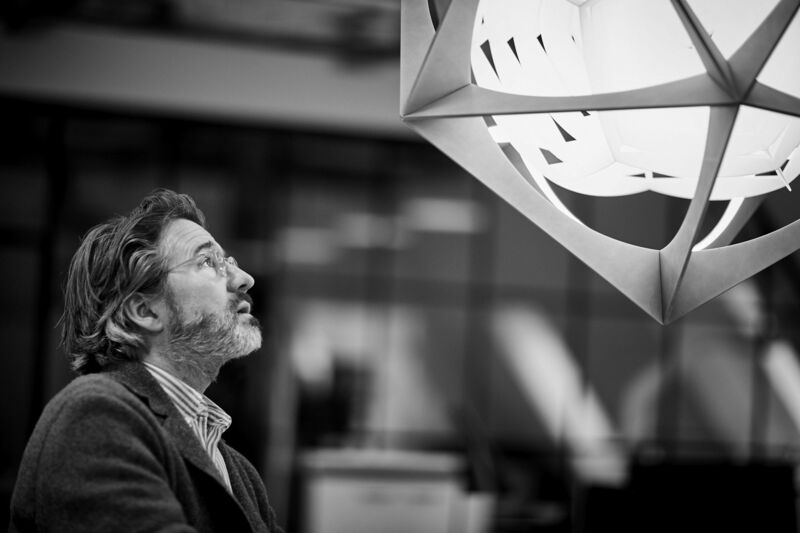 In one form, the lamp combines precision in design with quality atmospheric lighting,” states Olafur Eliasson, artist. 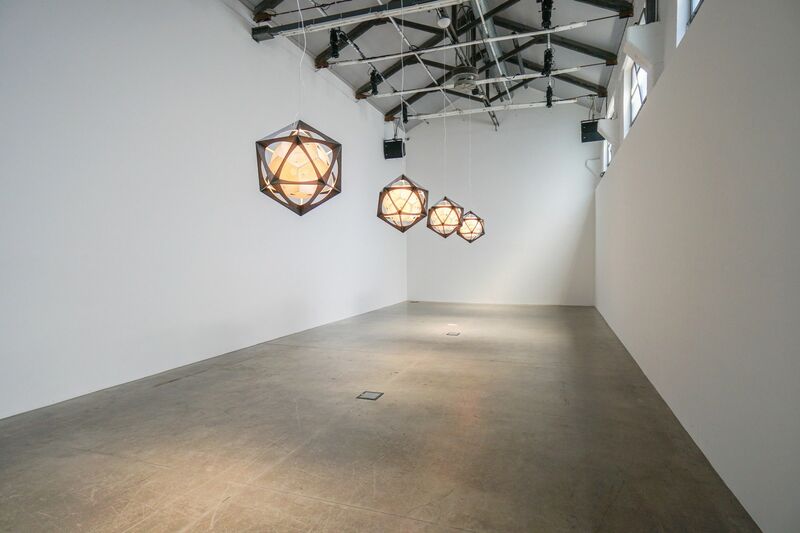 Eliasson’s interest in polyhedrons, spheres and curves – the ongoing geometric investigations he has pursued for years with his studio team – stems from a desire to create alternatives to the dominant orthogonal thinking of modern architecture, art, and design, to find forms that can help counteract the numbing of our senses. This concern for the emotional and physical effects of our surroundings is at the core of the lamp that Eliasson has conceived for Louis Poulsen. Louis Poulsen has been dedicated to creating lights that are harmonious within their surroundings and have a positive effect on the viewer. 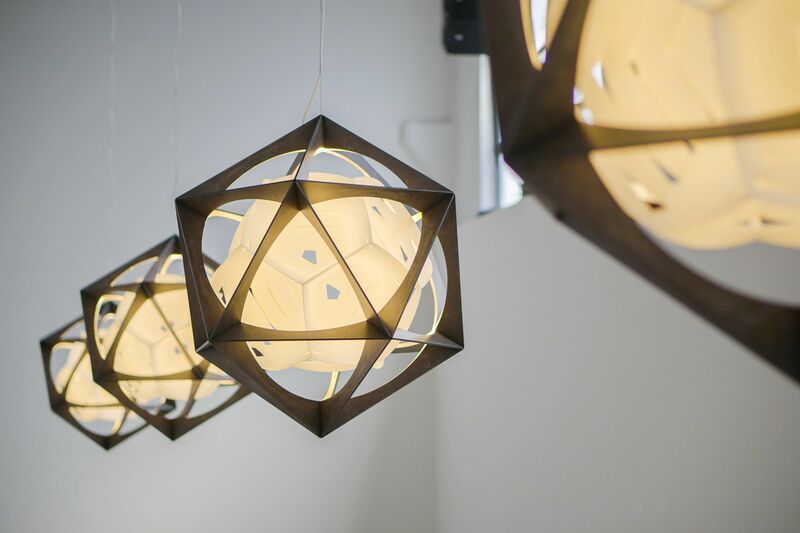 Together with Eliasson they have created a product that demonstrates how good light creates good life. 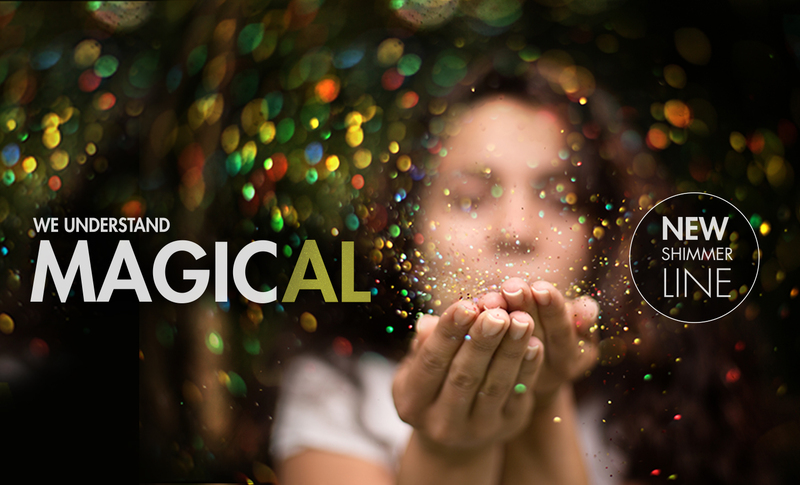 An integral element in OE Quasi Light is its sustainability. The aluminium used is 90% recycled, while other materials are entirely recyclable and reusable. With the design enabling future disassembly to replace and recycle parts, OE Quasi Light was created with longevity in mind. 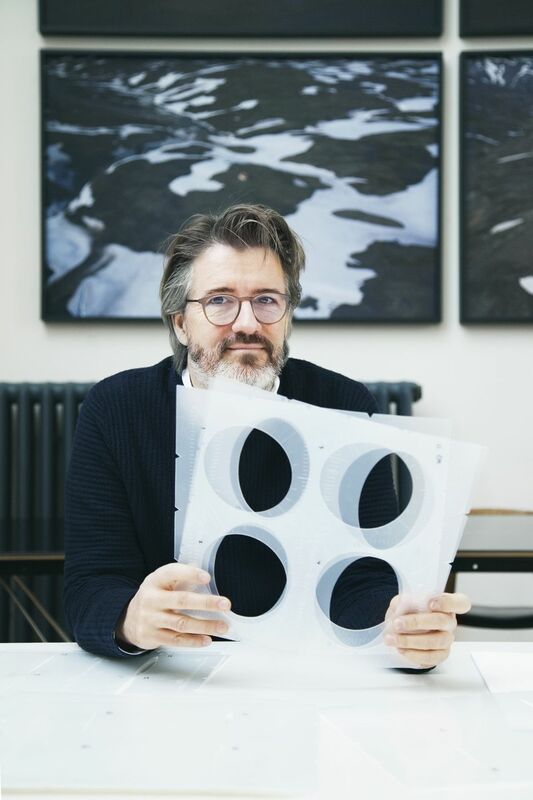 “Over two years ago, we enlisted Olafur Eliasson to create a new product for Louis Poulsen – and the result is extraordinary. 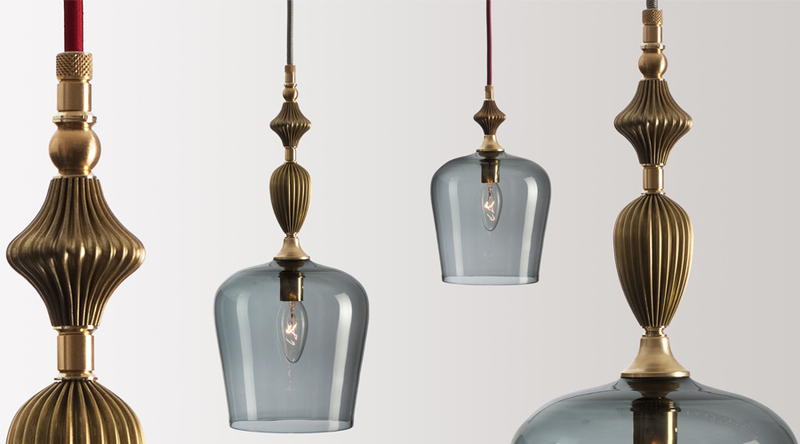 The OE Quasi Light is an inspirational product. A purposeful design piece that is uplifting to those in its presence,” says Søren Mygind Eskildsen, CEO of Louis Poulsen. 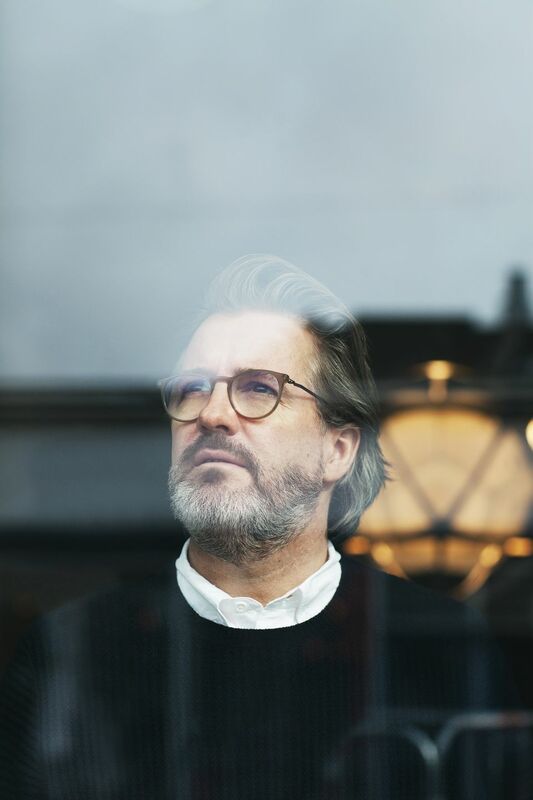 “At Louis Poulsen we have been designing light for over 145 years, and the challenge is always the same, crafting a light that does not just illuminate a room. A good light is functional and beautiful, but most importantly, interacts with and shapes the environment. I believe Eliasson’s OE Quasi Light will become a part of the heritage and history of Louis Poulsen, joining the ranks of our other iconic products, and creating good light for all”.